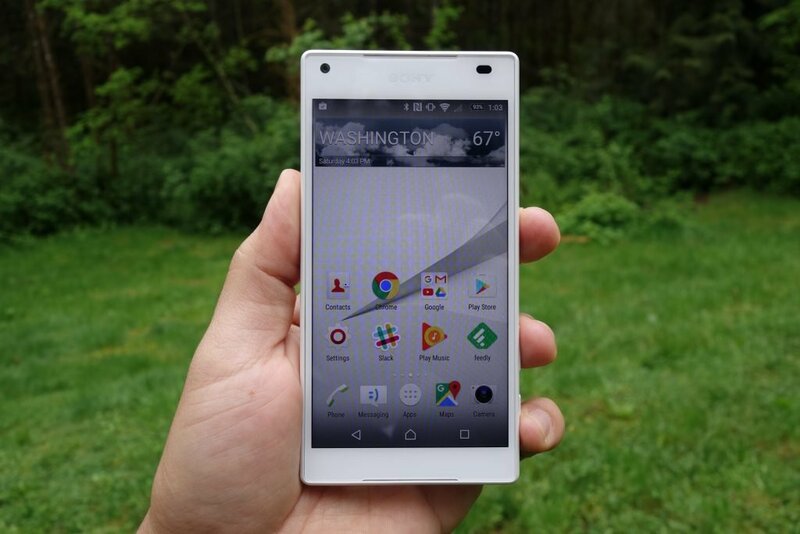 I’m not a small phone lover but I have always loved Sony’s Compact smartphone line. It’s just because of the point of it. Sony is the only manufacturer who offers a “mini” variant with uncompromised specs (for the most part). 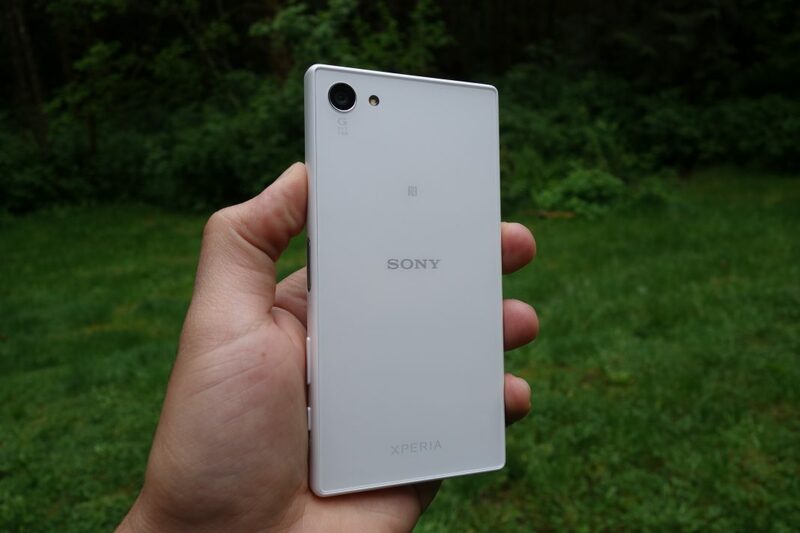 The Xperia Z line is fading to make way for Sony’s new Xperia X initiative, but it still is that the Xperia Z5 Compact is your top choice if you want an Android phone under 5 inches. And Sony actually brought it to the U.S., where you can grab it from online retailers like B&H Photo. 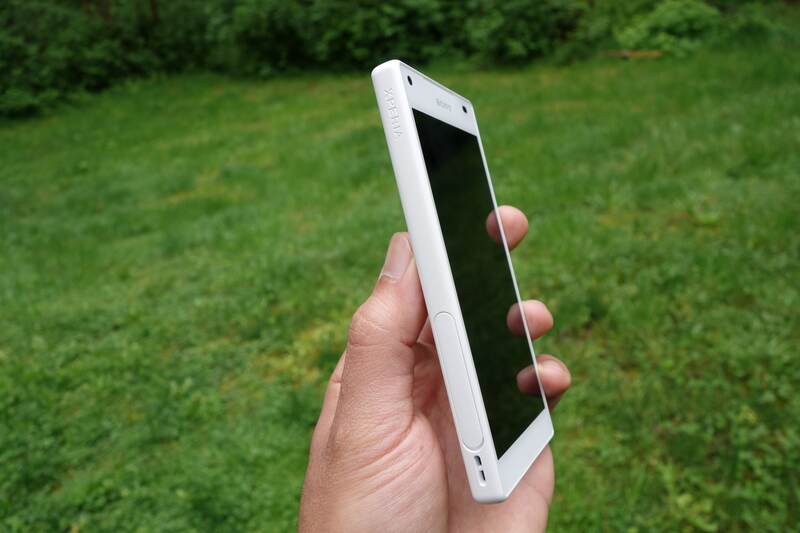 Let’s check out what Z5 Compact is all about. I would say that Sony is the phone manufacturer that does the least between smartphone releases. I mean, if we compare the Z5 to even the original Xperia Z, there’s really not that much different in terms of design. The Z5 Compact reflects its older brother’s design language, albeit, smaller and a little thicker. That’s not all that’s different, though. For better or worse, the Compact series loses the premium metal frame for a plastic one. But I honestly don’t find it a bother. Sony doesn’t do plastic like budget phone manufacturers. It feels expensive – robust but smooth to the touch. The sentiment extends to the back panel, but the finish has an even softer finish, almost velvety. In usual Sony fashion, you’ll see subtle labeling for the G lens camera, NFC location, Sony branding at the center, and an Xperia logo on the bottom. One thing is that the back and front panels aren’t flush with the frame, they’re slightly recessed. This means that the frame makes a sharp lip on the edges. I know some folks don’t like that kind of thing, but to me, it’s really subtle and didn’t bother my usage. The buttons and I/O blend in nicely with the frame, with the exception of the power button, which Sony maintains the metal-looking aesthetic. It’s flush with the frame and shows off a shiny chamfer all around. This would normally be where Sony places the fingerprint scanner, but our unit is the official U.S. variant, of which, for some reason, Sony excluded the feature. The volume rocker is interestingly placed under the power button (where it’s typically above it or on the other side), followed by a camera shortcut/shutter button. I applaud that Sony never forgets to include a camera button. It’s two-stage (for focusing and shooting) and works fantastically. 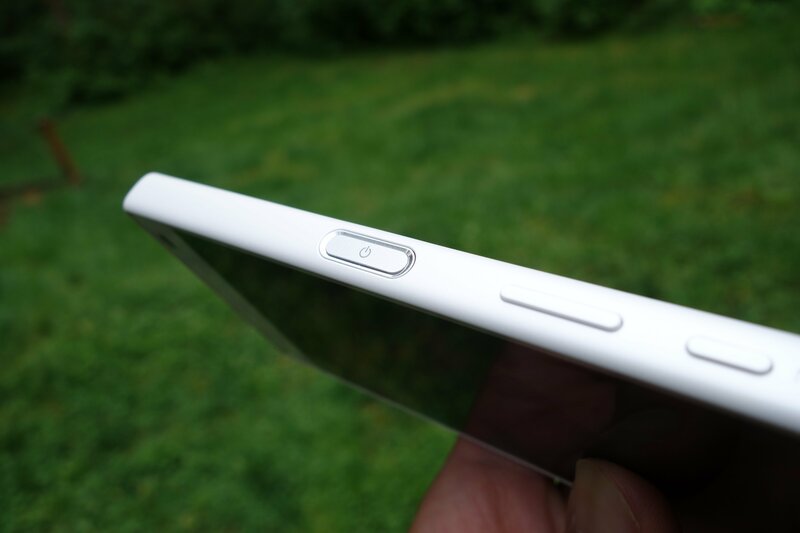 There’s a big flap on the other side, which protects the SIM and microSD card slots. You’ll need to make sure that this is firmly closed because the Z5 Compact is supposed to be water/dust-proof (IP65 and IP68 ratings). Fortunately, Sony was able to make the bottom microUSB port flap-less. 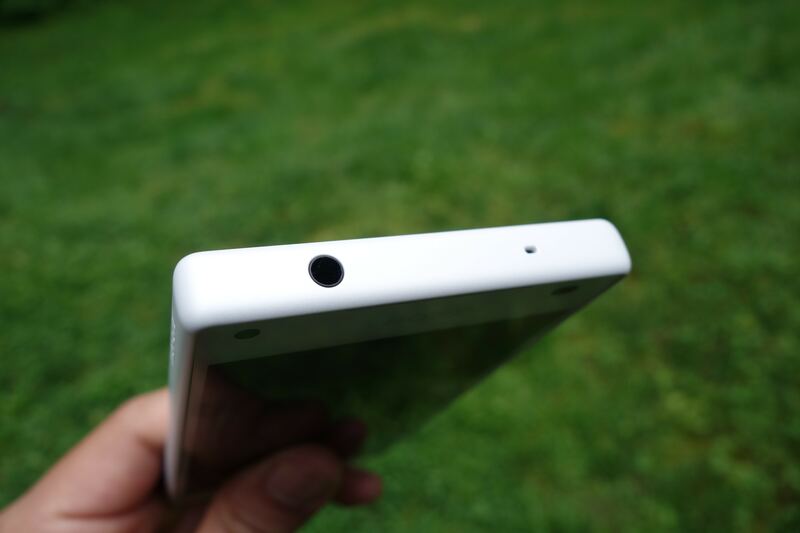 I was super glad to see Sony maintain the dual front-facing speakers on the Z5 Compact. The top and bottom speaker grills are covert slits between the glass and frame. 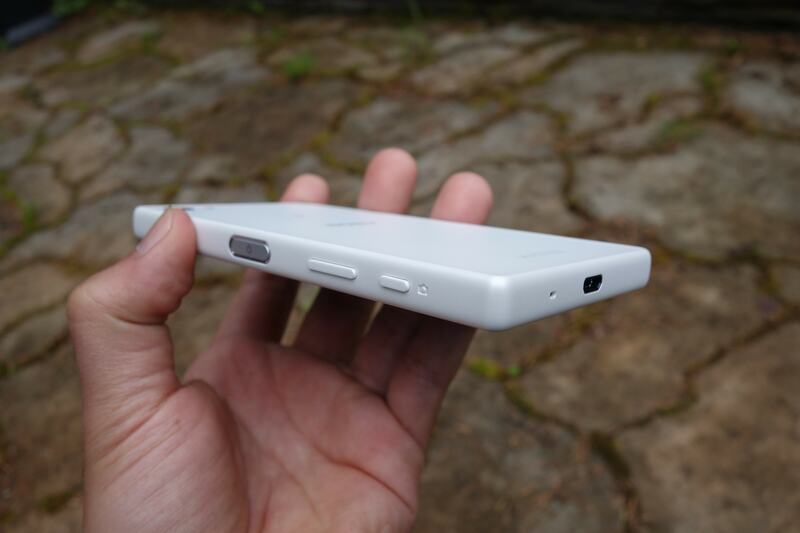 For headphone audio, the 3.5mm jack on the top of the phone. While Sony packs the same high-end processor across the entire Z5 lineup, the Compact is slightly skimped with 2GB of RAM. But in our experience, this fact didn’t noticeably impact performance. 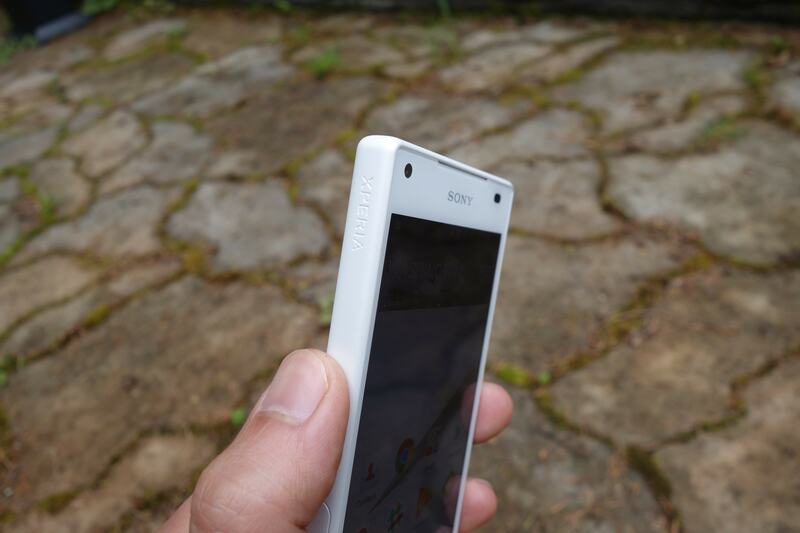 The best word to describe Sony’s phone performance is: smooth. It’s probably the most fluid experience you’ll find outside of a Nexus. Despite a heavy UI, Sony does a great job with software optimization (I wish Samsung would follow suit). 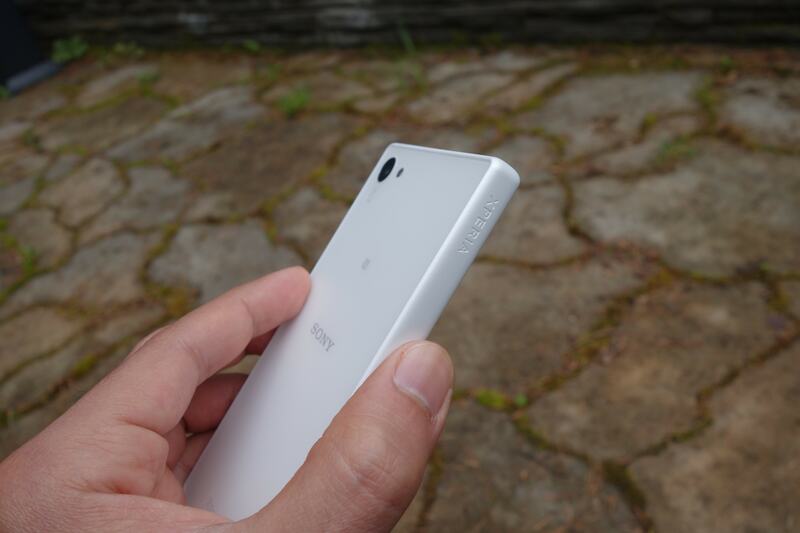 I had an Xperia Z3 before and I remember feeling the same way. But that said, the Nexus 6P does have a slight edge in terms of frame rate. Audio-wise, while the quality of the front speakers are nothing to write home about, they are oriented in the right direction and give off a stereo experience. Mono speakers pale in comparison. I also found audio out of the headphone jack to sound great (full and engaging). You may have noticed in the specs breakdown that the Z5 Compact’s display has a mediocre 720p resolution. It’s true, but if you think about it, we’re dealing with a 4.6″ panel. This means that we still have an acceptable 323 ppi. In my experience, I don’t find myself dying for more pixels. Regarding picture quality, the Compact’s panel is just okay. It’s not very bright and I find myself often using the max brightness. Straight-on, the display is just fine (albeit, the colors a little dull to my eyes, but that’s me being picky). I was not impressed with the viewing angles. You can still see what’s on the screen clearly, but a slight pink-ish tint appears. And it doesn’t take a large angle to get there. These are nitpicks, though, and I think most consumers will be fine with the screen. Like the chipset, the camera is another area where Sony maintained high-end components on the Z5 Compact. It rocks the same beastly 23MP Exmor RS sensor found in the rest of the Z5 lineup. Specifically, we’re looking at a home-brewed lens (G lens) with a 24mm wide-angle and f/2.0 aperature. Something new that Sony introduced with this the sensor is a 0.03 sec hybrid auto-focus (AF). It doesn’t use laser AF like you’d think, but rather, Sony says it’s a combination of contrast-detection and phase-detection. But is it really as fast as it sounds? Yes! I really enjoyed the quickness of the AF. Although, there are nitpicks. The default focus is on the center. You can manually change the focal point by tapping on the screen, but I’d like for the camera to automatically focus on nearer subjects regardless of their positioning. Additionally, while the focus is fast, the capture speed doesn’t keep up. This camera has the potential to be lightning quick, but isn’t yet. Regarding image quality, I wasn’t overly impressed. Sony’s sensor can crank out some great images, but it was hit or miss in my experience. Too often, blurred areas would creep up. Sunlight could throw the camera off pretty easily (resulting in blown out lighting or blurry-ness). Grainy-ness would show show up in darker shots. 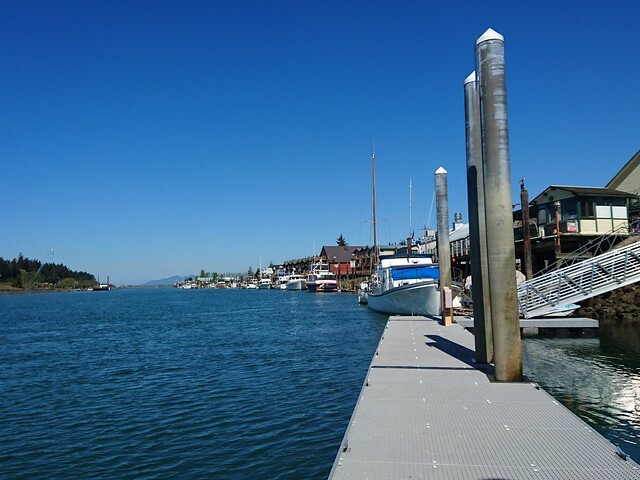 I mean, no smartphone camera is immune to these issues, but many today deal with them much better. 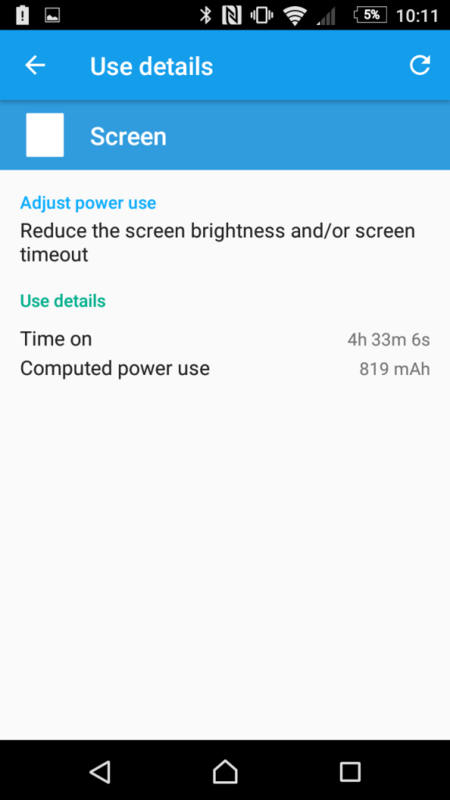 Sony’s software optimization reaches to the battery performance. If you used an Xperia phone before, you’ll know that isn’t an understatement. 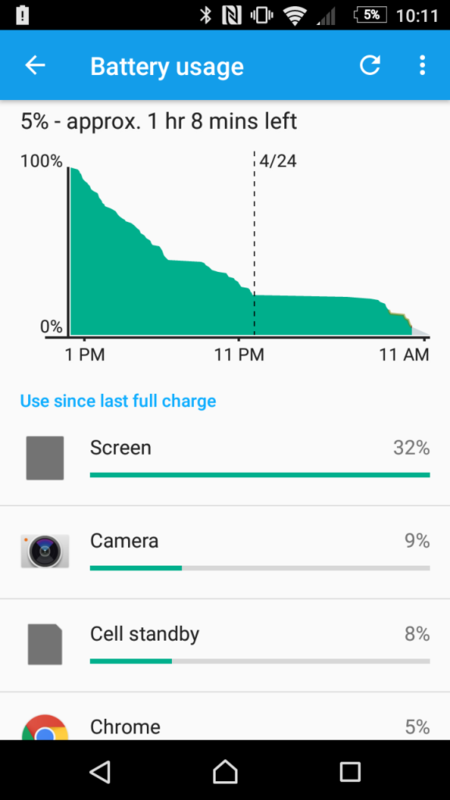 Sony does a fantastic job in minimizing battery drainage. On the Z5 Compact, we have a modest 2,700mAh capacity. 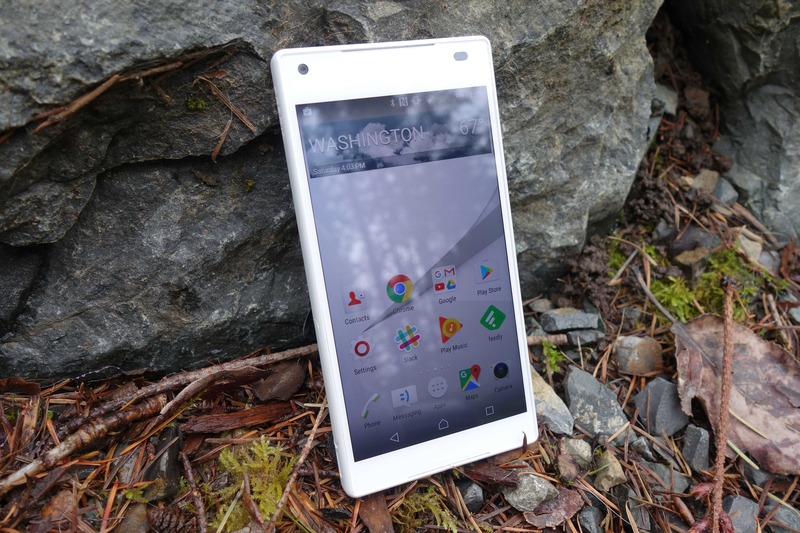 Sony touts that its Xperia phones will get you 2 days of battery life. That’s a bit of a stretch, but it should get most users through the day and then some. I’m a moderate-to-heavy user, and my usage above consisted of common apps like Google Maps, Chrome, YouTube, Play Music, Camera, Google+, Twitter, Slack, and Feedly. 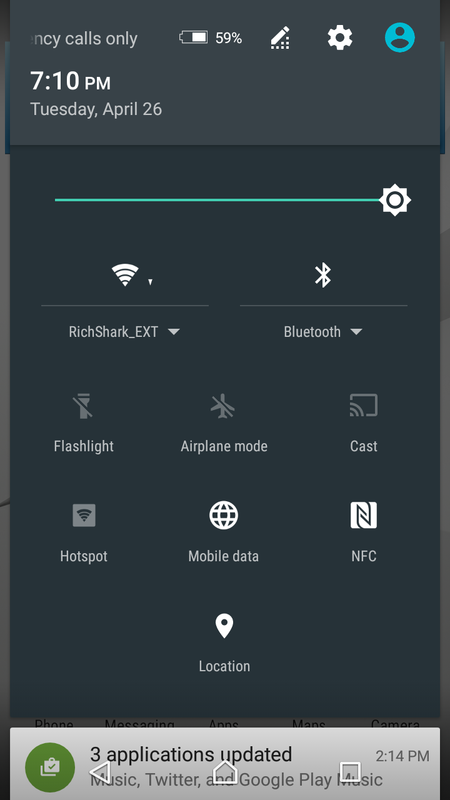 My brightness hovered around 75% and max, and my day was split between T-Mobile’s network and WiFi. I really appreciated Sony’s minimal idle drain. It’s very clear in the graph above when the phone was not in use. 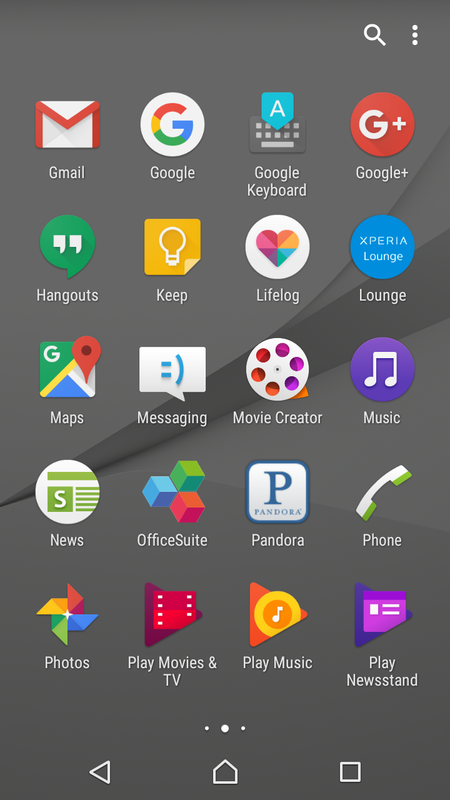 I updated my unit to Android Marshmallow, not sure if Sony is using Doze or not. It sure seems like it. The Z5 Compact launched with Android Lollipop, but it has since been updated to 6.0.1 (Marshmallow). 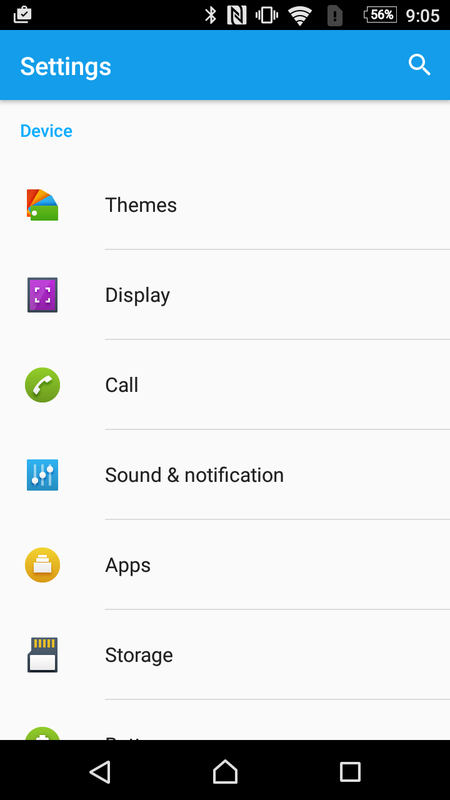 Something else to know is that Sony has been moving closer and closer to Android’s stock UI (thank goodness). It hadn’t sounded like most people took well to it’s custom UI. 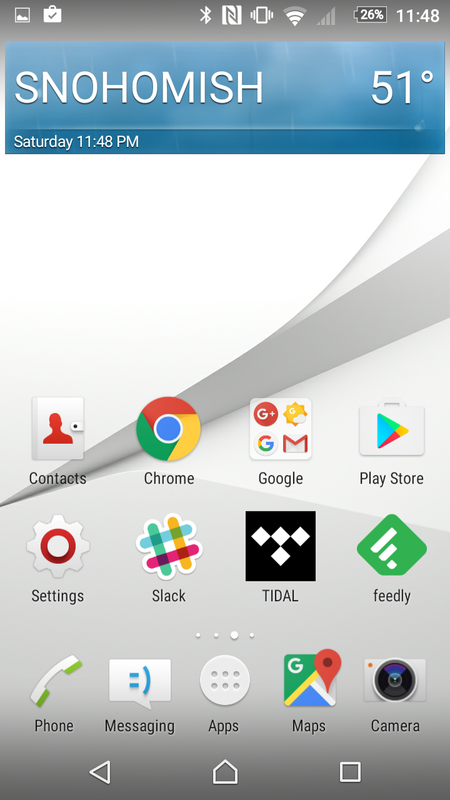 You’ll still find Sony’s touches around, such as in the app drawer overlay. 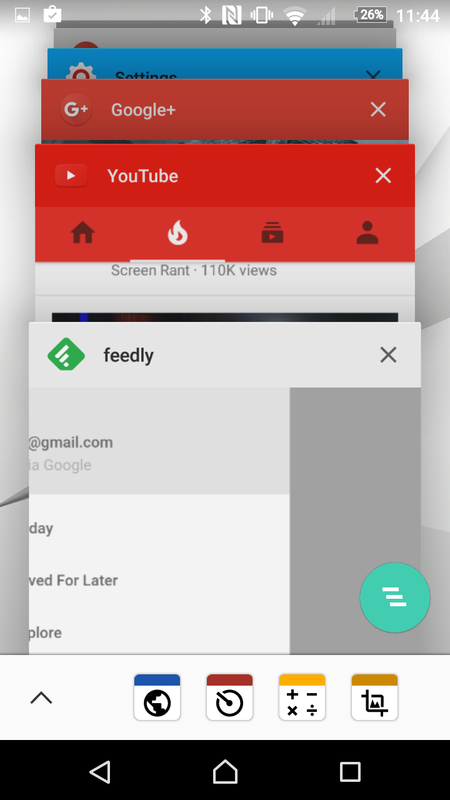 But they’re much less invasive, and Material Design elements can now be seen (i.e. the notification shade). For better or worse, Sony continues to include its own media apps. The Recent Apps function follows Google’s carousel layout, but you’ll see a custom tool along the bottom for “Small apps”. 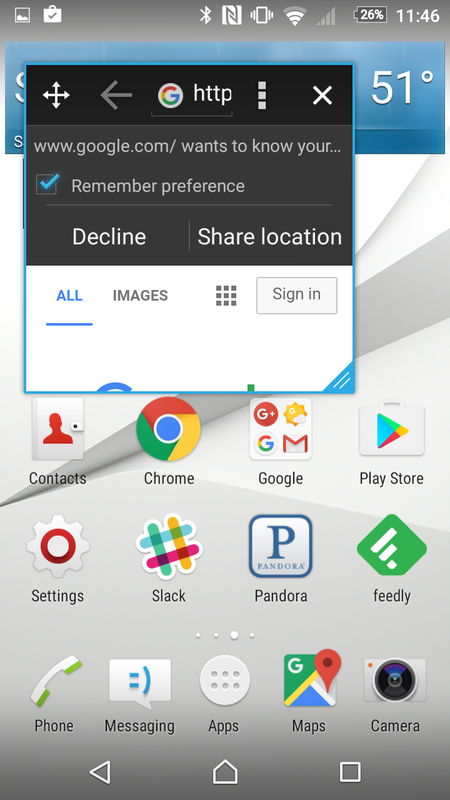 This makes select apps launch as small windows on the Home screen. 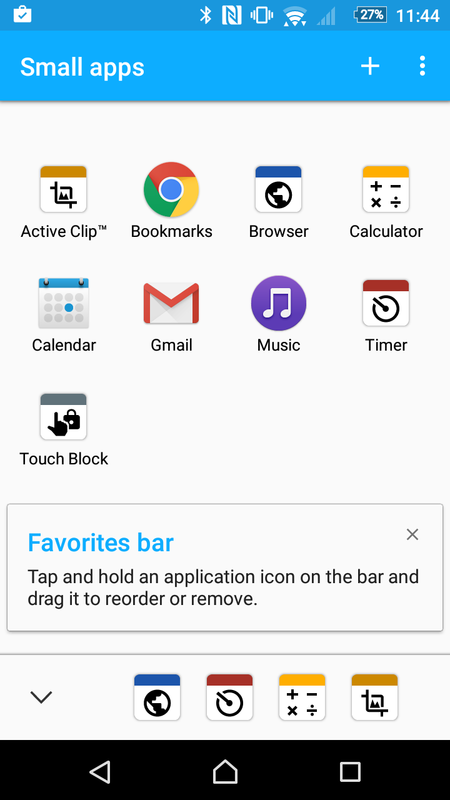 Samsung and LG’s UI have similar functions. 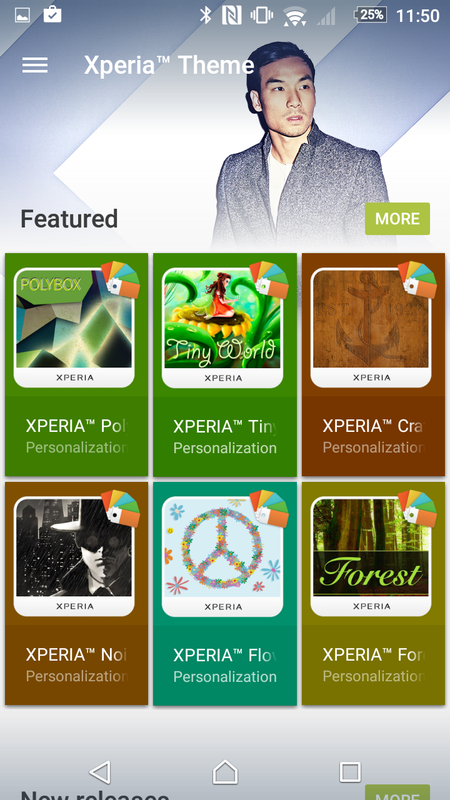 Also like the other manufacturers, Sony’s UI includes a theming engine. 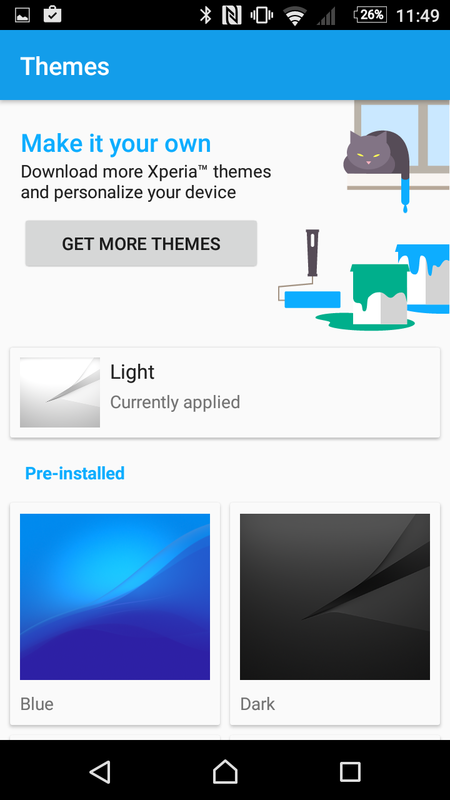 Within the Settings, clicking on “Get More Themes” takes you to a vast library of pre-made styles (free and paid). There are a couple of other nice additions. Within the Display settings, you can enable Tap to Wake (always a welcomed feature) and disable selection notification icons from showing. Sony is big on audio, so within the sound settings there’s a compressed audio upscaler and Sony’s ClearAudio+ software, that does some voodoo sound optimization. 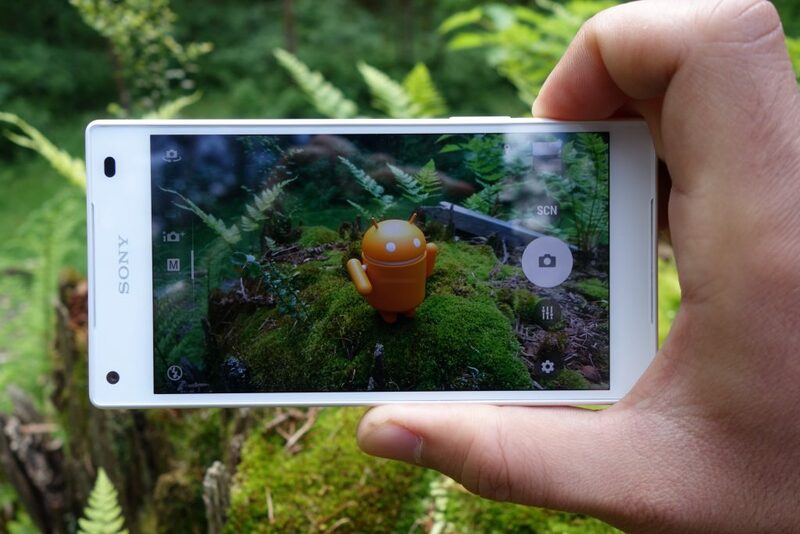 The Z5 Compact isn’t a perfect phone, but it’s definitely a good one. And the space that it fills certainly gives it more weight. All the top-end flagships have moved on from this screen size bracket, so even the fact that the Z5 Compact can be in the same arena as them makes it compelling. This just is the best all-around smartphone that you can get with a screen less than 5 inches. We don’t know where Sony is going to go from here. The company debuted several new smartphones earlier this year (with the new “Xperia X” branding), but they all had 5″ displays. 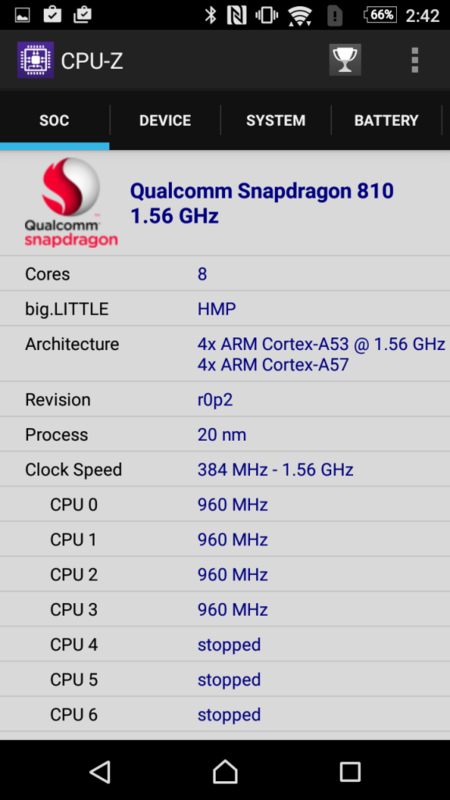 Who knows if we’ll see another sub-5″ phone with top-end specs. We’d like to give a shout-out to B&H Photo for supplying our Z5 Compact review unit. You can currently pick it up over there for $445. The Z5 Compact does a lot of things right, but also misses the mark in a couple important ways. We liked the build/feel, despite being plastic. Performance and battery life were also top-notch; we're convinced about Sony's software optimization. However, the display and camera quality left to be desired in some ways. Still, the Z5 Compact is the best sub-5" smartphone that you can get.